This beautiful tall slim woman was standing next to an equally beautiful glass vessel at the Traver Gallery in downtown Seattle. She was, unfortunately, texting. 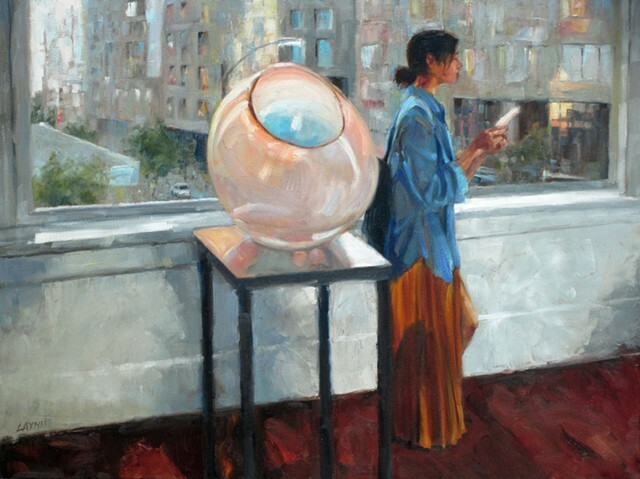 If I were to paint most of the people I see out and about, the gallery would be full of people looking at their personal devices- phones, tablets and notebooks. I chose to change her hands and give her a brochure to read. That appeals to me more than the phone. I love the view of Seattle through the window.